We’ve been delivering quality chiropractic care to the Triangle & Raleigh community since 1995. Our patients range in age from infants and small children to senior citizens. Most of our patients are referred to our office by other satisfied patients or by other healthcare professionals such as primary care physicians, neurologists, OB/Gyns, dentists, physical therapists and massage therapists. Dr. Boccella believes it is important for all healthcare practitioners to work together towards a common goal of helping you improve your health and quality of life. 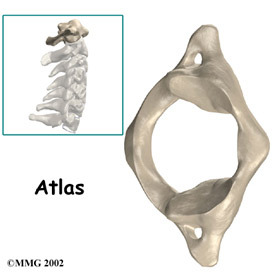 Our approach begins by utilizing the combination of two unique, state of the art chiropractic techniques – Atlas Orthogonality and Activator Methods. We may also use cold laser therapy/phototherapy, myofascial release, pulsed electromagnetic field therapy (PEMF), ice and/or heat therapy. In addition, Dr. Boccella will suggest habit/lifestyle modifications, exercises and stretches, nutritional supplementation, postural stabilizers such as a sleeping pillow, lumbar support or custom foot orthotics. We recognize the holistic influence the nervous system has on all bodily functions. In fact, every organ in the body is directly influenced by the nervous system, with the greatest influence coming from the upper cervical spine and brainstem area. Even the nerves that extend to your toes have to travel through your cervical spine to communicate with your brain. Chiropractic is based on the premise that the body heals itself naturally from above down inside out. When there is a disruption or interference between the central nervous system (brain) and the peripheral nervous system (spinal nerves) due to spinal joint misalignment, the body is in a state of dis-ease and cannot function optimally. Over time, the joints will degenerate (arthritis), the muscles will be in a chronic contraction (trigger points), discs, ligaments and tendons will weaken (inflammation) and the nerves will be chronically overstimulated (pain) or understimulated (numbness/tingling and muscle atrophy). We encourage you to take an active role in your healthcare. If we are unable to help you with your situation, you will be referred to the appropriate healthcare practitioner. Sound interesting? Please contact our practice to make an appointment.